If you want to know how to be happy, here is a hint: exercise your brain. You may not think its true, but your brain can reap benefits from exercise just like any other muscle. Both physical and mental exertion can give your brain and body the boost they need for curing a bad mood. No matter whether you decide to run a mile, practice martial arts, or engage in a game of chess every day, you are doing your brain a favor. Let's take a look at the benefits of exercise for your brain's performance and your mood. When you exercise, your body releases endorphins: neurotransmitters that induce feelings of happiness and well-being similar to morphine. These chemicals are intended as pain killers to counteract the buildup of lactic acid in the muscles - the stuff that causes you to get sore during a tough workout. In addition, serotonin and dopamine are released during exercise. The endorphins take 30 minutes of constant exercise before the brain triggers their release. During vigorous exercise, the heart pumps more blood throughout the body, leading to increased feelings of focus and alertness because of more oxygen getting to the brain. If someone asks you how to be happy, you can tell him or her cardio will work wonders for mood. Bad moods and depression can also occur because you might feel that you are being unproductive with your time. Exercise can partially eliminate feelings of worthlessness because you feel like you're bettering yourself, even if only by small steps each day. Mental exercise is another way you can find out how to be happy. 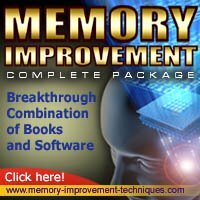 The brain needs regular stimulation: reading a good book, starting work on that novel or doing something else you enjoy forces your brain to use neural pathways more often. The more often an electrical signal travels along a nerve pathway, the less energy it takes for the brain to produce the signal and the less conscious effort you have to make. In addition, when you exercise your brain's logical centers for things like chess or math games, it diverts energy from processing emotions, meaning you temporarily can put aside your depression. In fact, doing this halts the chemical reactions that continue the cycle of depression according to the National Institute of Mental Health (2011). In short, keeping yourself busy with physical exercise and brain-stimulating activities will boost your mood and will perhaps stave off depression. You should also seek out professional diagnosis and eat a balanced diet; without a proper diet, your brain cannot produce serotonin and dopamine. National Institute of Mental Health. "How Can I Help Myself If I Am Depressed?" July 27, 2011.